October is a great time for photography, if you ask me. 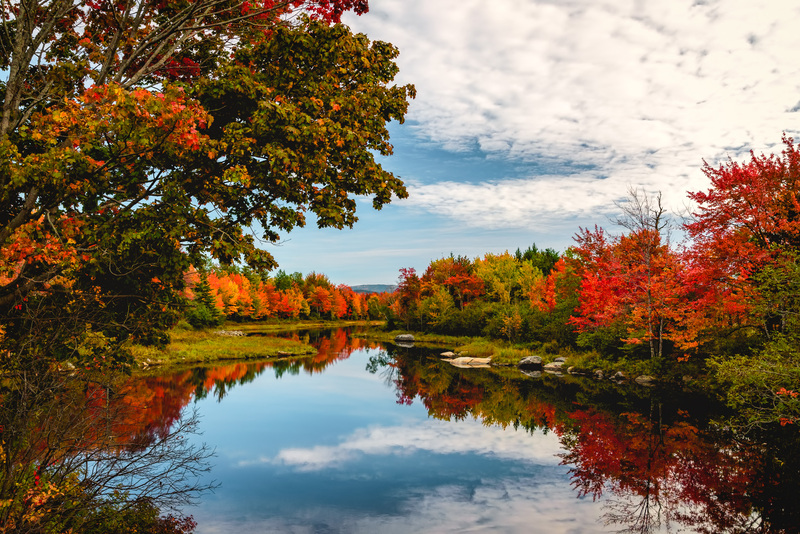 The colors of fall certainly make for gorgeous landscape scenes while the cooler weather encourages more people to get outside with their cameras after a long, hot summer. We had plenty of fall color photography in last month's collection of Inspirational Photos of the Day, along with tons of other incredible photos, from portraits to macro and just about everything in between. Here's a look back at the most inspirational photos of the month from October. The beauty of using a slow shutter is that you can turn an everyday scene into something with far more drama. 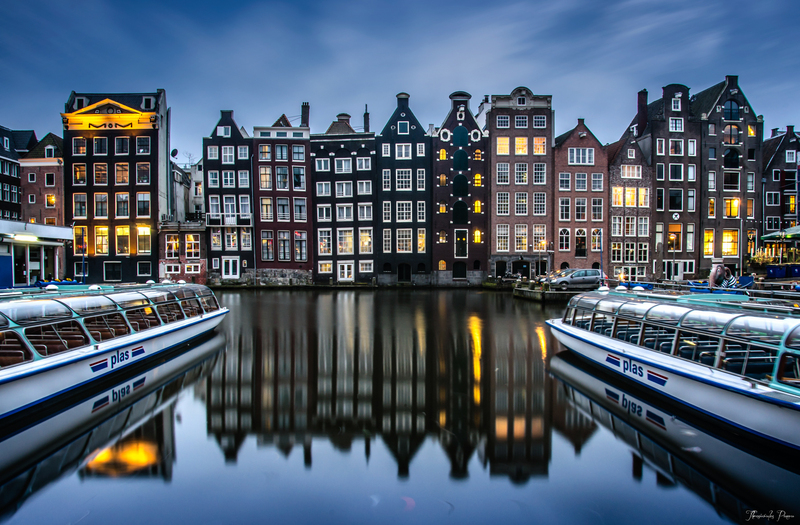 ThrasivoulosP certainly took that sentiment to heart in this awesome photo of Amsterdam. The long shutter speed smoothed out the water in the marina beautifully and also turned the clouds in the sky into a gorgeous focal point. You can’t go wrong with a sunset and an ocean scene, right? This beautiful photo by GJ incorporates tons of elements that add depth and drama to the shot. 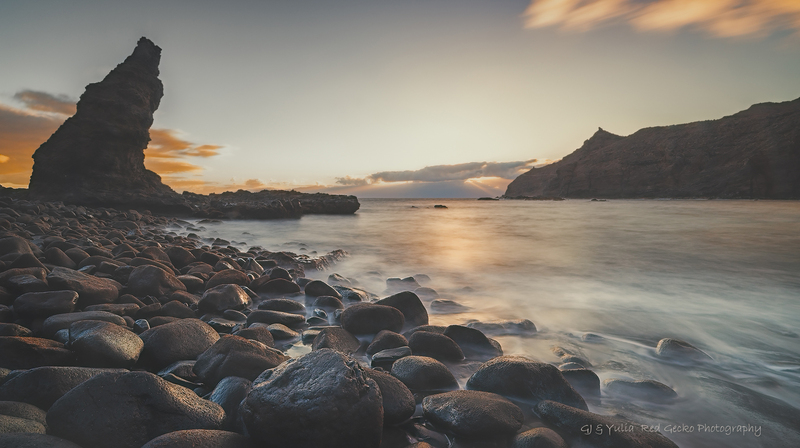 Between the beautiful colors of the sunset, the smooth water, and the texture of the rocks in the foreground, this image has it all! This maternity photo by Amber Fite certainly breaks the mold of typical maternity photos, and in a good way! The combination of the formal, flowing gown and the gorgeous landscape setting makes for a unique and interesting image to view. The light from the setting sun isn’t bad, either! Notice how the fly’s eyes are perfectly sharp - which is exactly what you want in a macro photo like this. But also notice how Max utilized a beautifully bright and colorful background to help set the fly apart in the image. Gorgeous shot, Max! Kyle has done it again with another magnificent landscape shot, this time featuring the fading light of the day as it lights the distant mountain on fire. The combination of the cool, wintery scene and that burst of warm sunlight is fantastic! 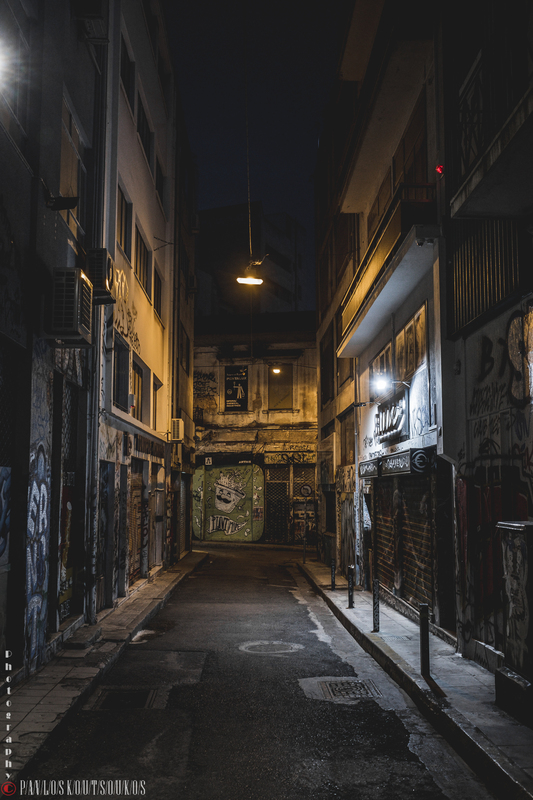 Pavlos’ moody nighttime shot of this alleyway just goes to show that you can create a beautiful, impactful image of virtually any subject. While many people might walk by this spot without a second thought, the combination of the leading lines, great lighting, and the shapes and textures of the graffiti make for a perfect subject for a photo. Typically, the background of portraits is blurred in order to help separate the subject from the background. That usually takes the form of bokeh, but in this shot by Kristi Telnov, the background has a surreal vibe that almost has an indication of motion. That feature helps make this photo more unique and memorable! 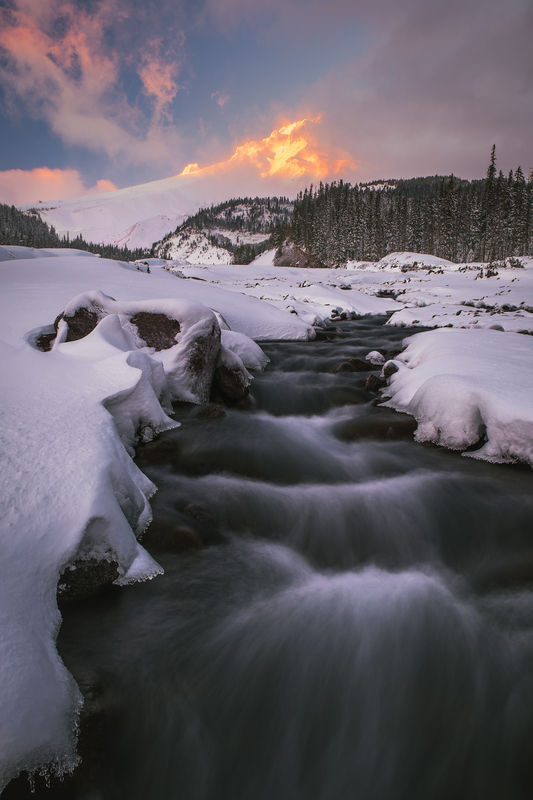 Though many landscapes are captured in a wide-angle view, this breathtaking shot by Dennis Tungate demonstrates how zeroing in on a smaller scene can be advantageous. 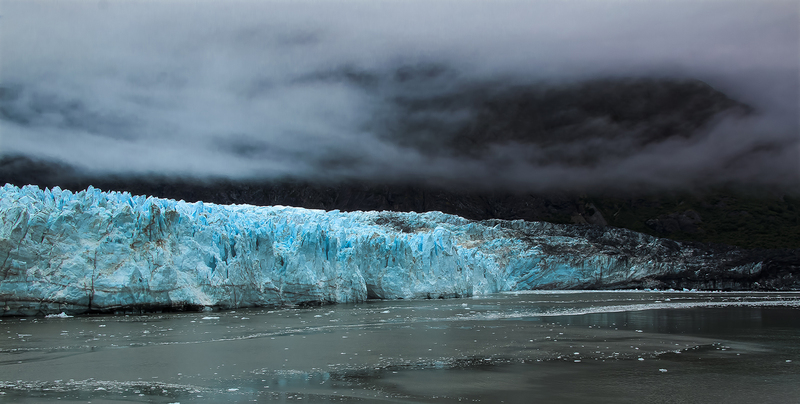 By giving us a closer view of this glacier, we not only get to be dazzled by its electric blue color, but we also get to enjoy all the textures of the scene. Great work, Dennis! 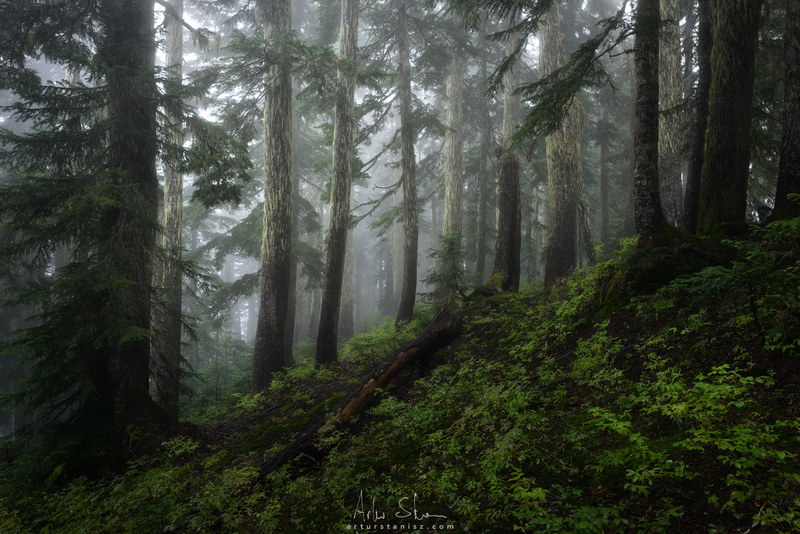 As Artur Stanisz notes, the forest is a perfect subject for photos, especially when a veil of fog envelops it to create a virtually silent landscape. His shot here is a reminder that you don’t need over-the-top scenery to create a superb shot! Successful black and white photos often have tons of visual elements that help pique the viewer’s interest in the absence of color. 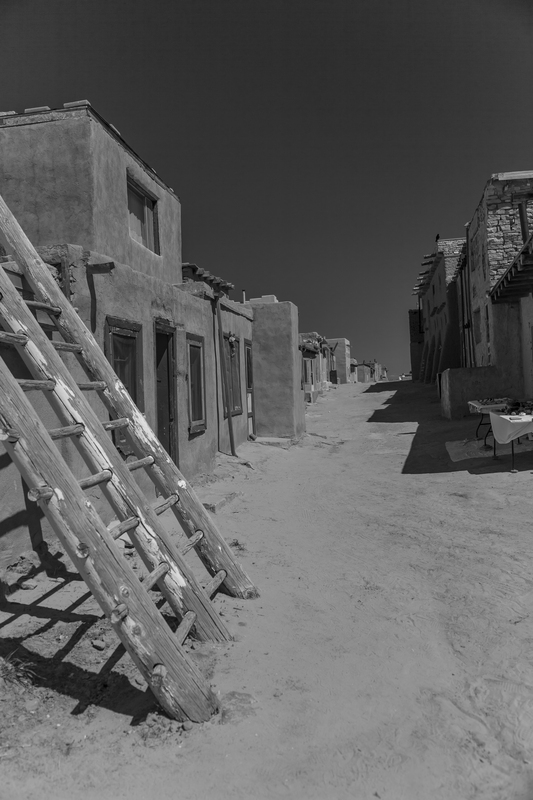 In this shot by Glenn Donharl, the contrast between the areas of shadow and light, as well as the linear lines of the Pueblo, combine to make a visually stimulating image. Nice shot, Glenn! This shot by Roman has it all - gorgeous colors, beautiful scenery, a fantastic reflection, and perfect sharpness from front to back, and that’s just the start! The contrast between the deep blues and purples of the sky with the bright white of the snow on the mountains is incredible as well! 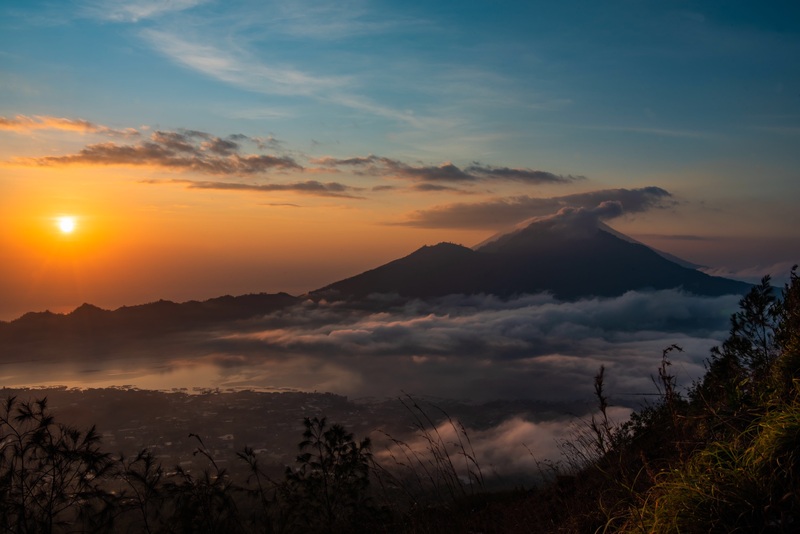 Shooting toward the sun can present all kinds of challenges for your camera, but as you can see in this shot by GJ, when done right, the results can be awesome! 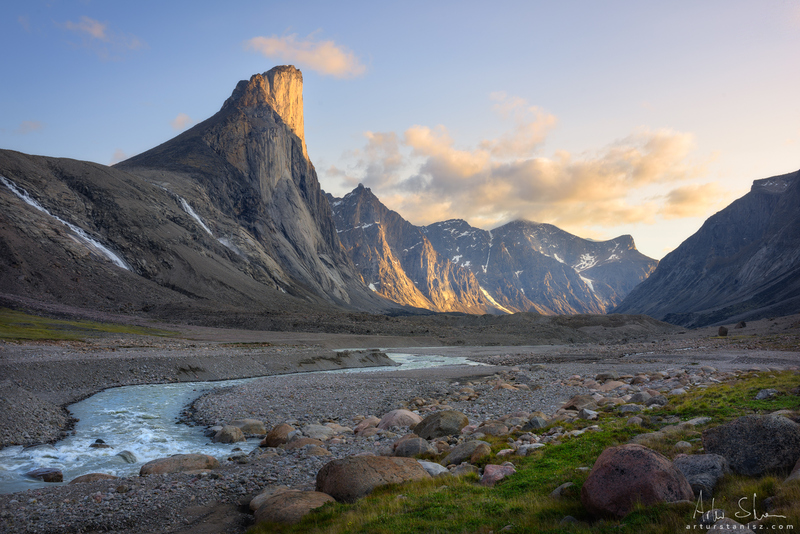 The combination of the silhouetted rock formations set against the warm, golden tones of the sun’s rays that fall across the rest of the landscape is just breathtaking. 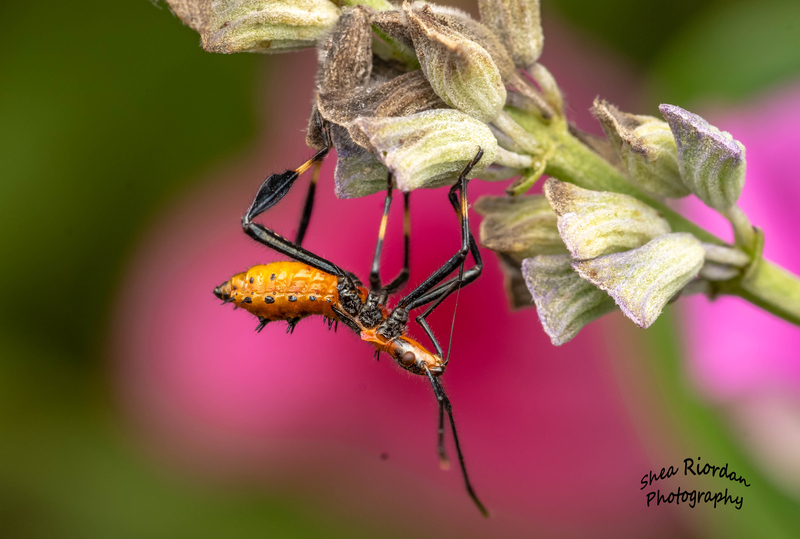 Shea’s spectacular shot of this little bug highlights the beauty of the little things in this big world in which we live. What makes this shot even better is the fact that this little guy is upside down. Unique compositions like this will help make your photos stand out, just like this one! 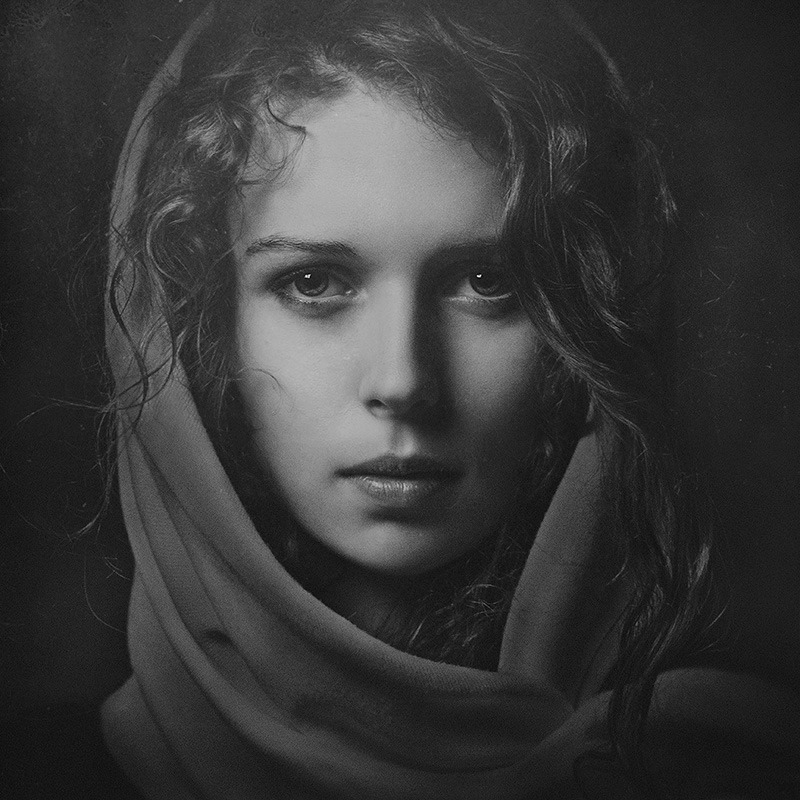 Having a background that contrasts with a portrait subject is ideal for creating a jaw-dropping image. In this shot by Jaqueline Vega, the fact that the backdrop is a breathtaking landscape certainly helps! The manner in which the model’s white gown pops in front of the gold, red, and earth-toned background gives this photo tons of visual appeal. 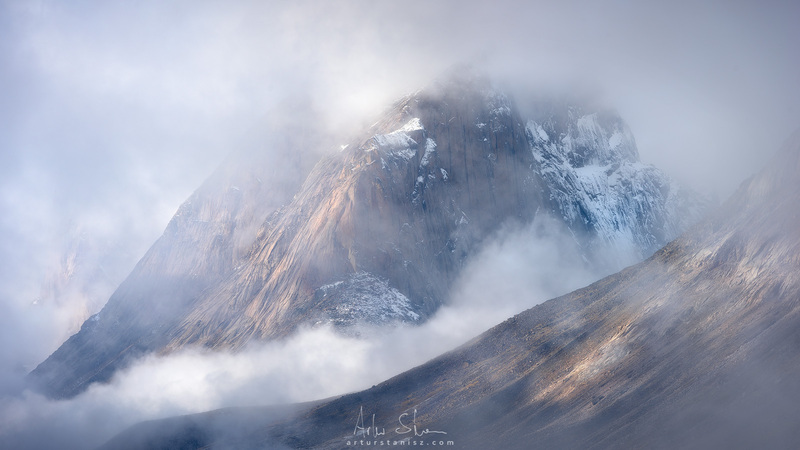 This photo by Pablo highlights how fog and mist can be a beautiful addition to a landscape photo. 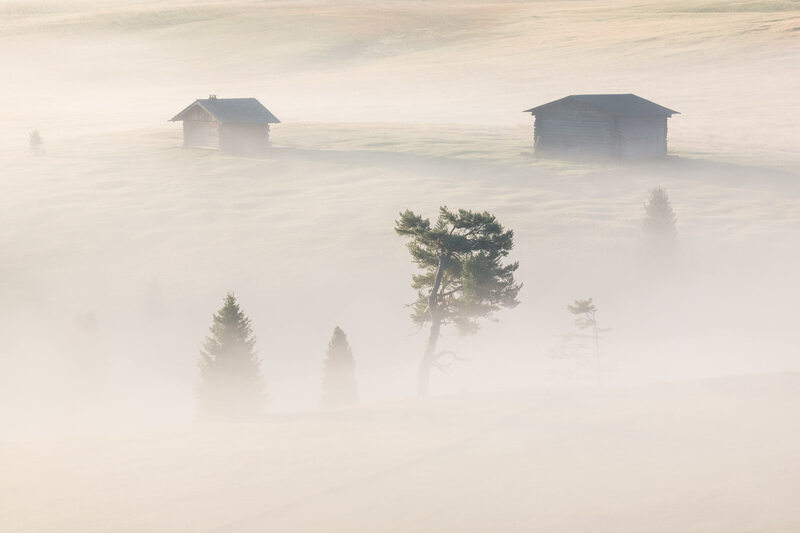 In this case, the way the fog veils some of the details of the landscape gives this photo a bit of mystery. And with the layering in the shot, we see an image that has tons of depth, too. Sometimes all a landscape needs to be elevated to the next level is a change of scenery. In this case, Darwish does just that by elevating the shooting position. Perched high atop a mountain, the view straight out towards the mountain in the distance gives this image a feeling of grandeur. Great work, Darwish! One of the best ways to utilize a foggy day is to shoot architecture photos. 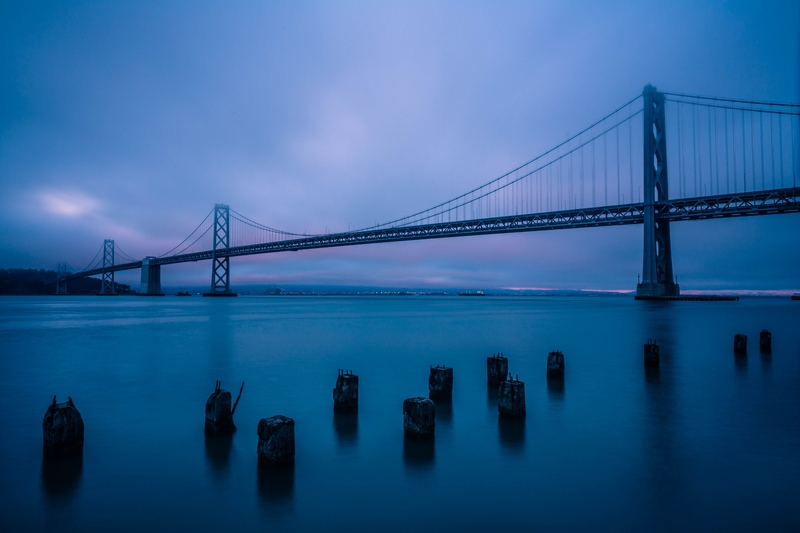 In this image by Jared, you can see how the vast nothingness of the low-hanging clouds contrasts beautifully with the linear lines of the Bay Bridge. Add in some foreground interest and blue hour lighting, and you have a recipe for a winning shot! 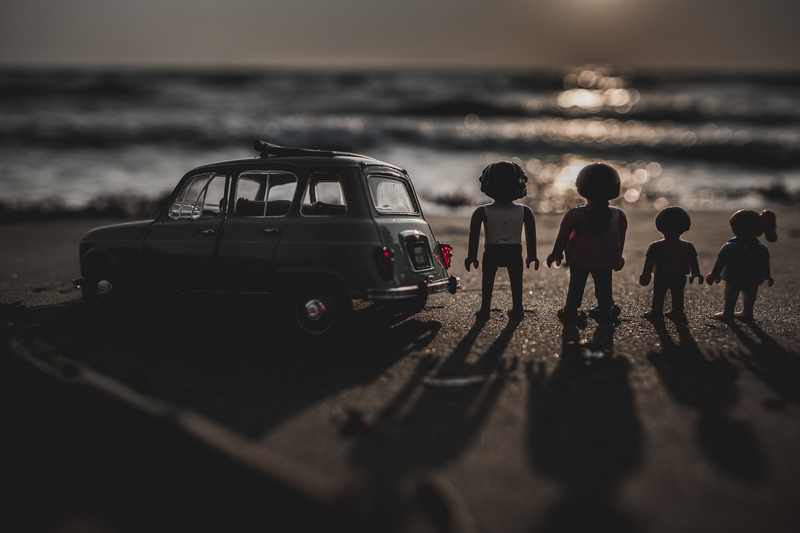 Using simple toys, Pavlos created a beautiful little scene that’s reminiscent of a family trip to the beach. Pavlos’ unique photo serves as a reminder that there really are no boundaries for your creativity in photography. If you can dream something up in your mind, there’s nothing stopping you from creating that image! One of the great things about landscape photography is that there are so many different ways to capture the beauty of a landscape. In this case, Artur Stanisz used a telephoto lens to get us up close and personal with this alpine setting. Notice how the details of the granite rock come through thanks to the use of a long lens. Great stuff, Artur! PJ van Schalkwyk isn’t messing around in this jaw-dropping photo! 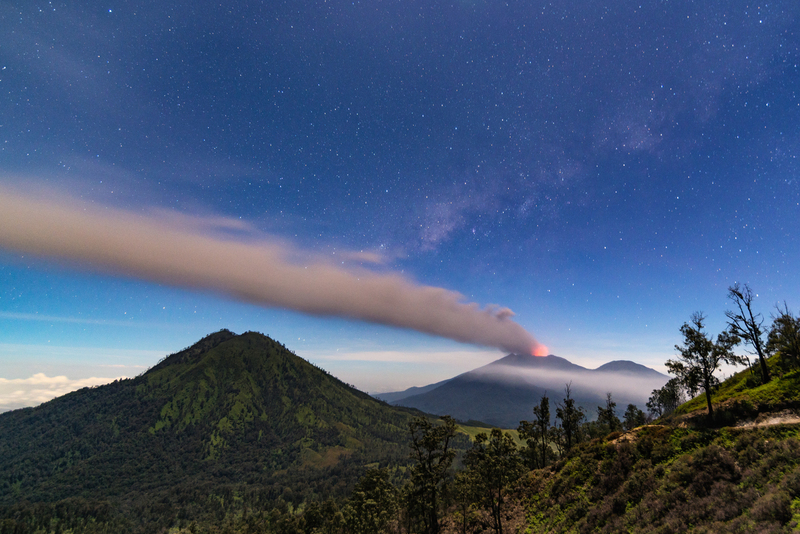 Not only is the setting under a blanket of stars beautiful, but the added bonus of Mount Raung erupting gives his photo that much more drama. Simply breathtaking! Don Fitzsimmons demonstrates why filling the frame with the subject can be such a great compositional choice. 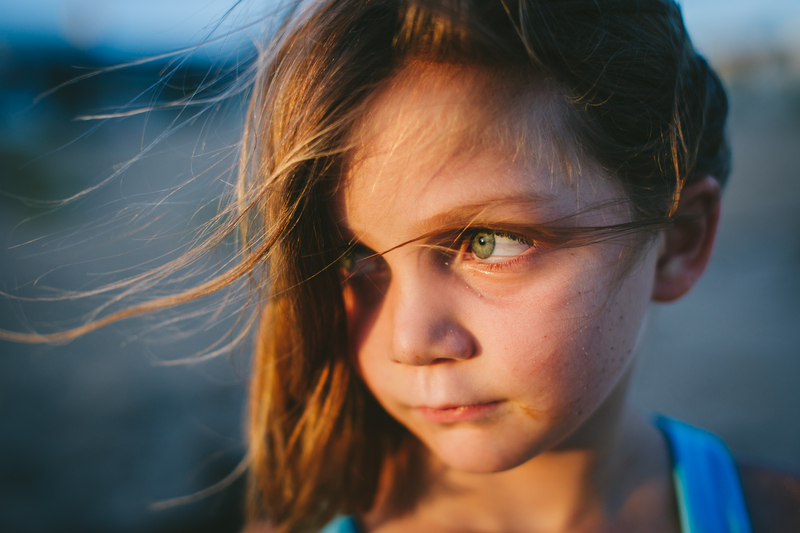 In this case, the girl’s eyes are put front and center, and we get a better feel for the mood and emotion of the moment. It leaves you wondering what the girl is looking about and what she might be thinking as well. Great work, Don! This gorgeous shot by Roman is the perfect representation of an autumn photograph. 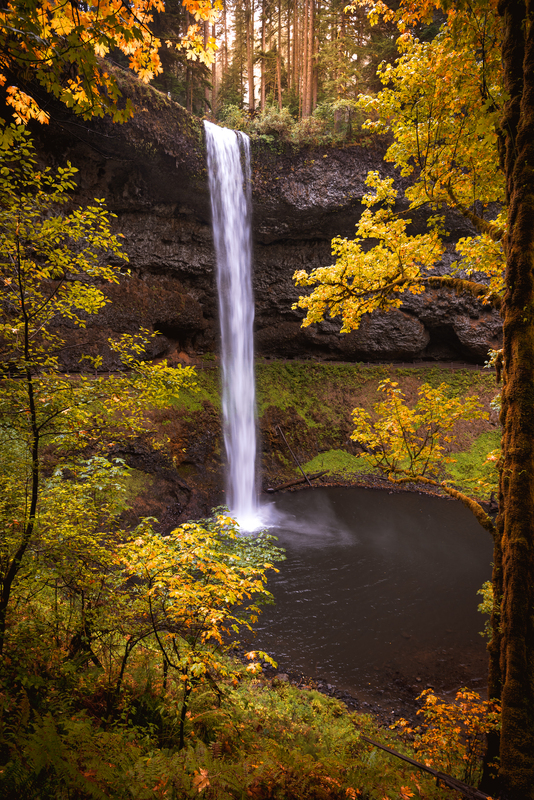 You can virtually feel the coolness and crispness of the fall air as you look at this shot! 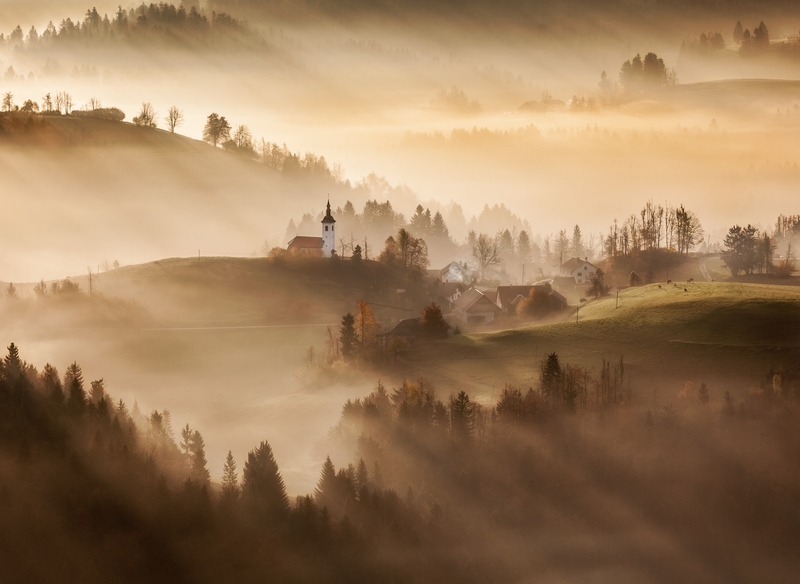 Between the picturesque setting, the mist, and the great light, this is one heck of a photo! 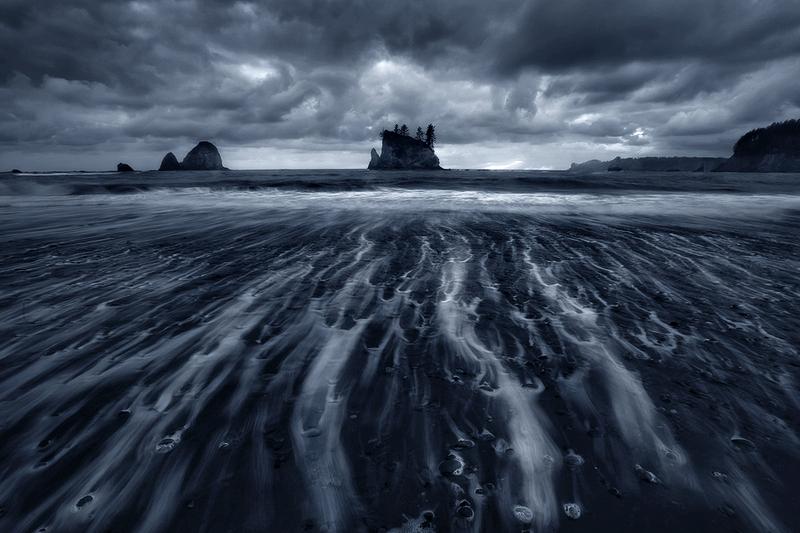 The Olympic Peninsula in Washington State has never looked so moody and foreboding as it does in this breathtaking image by Trevor Anderson. The movement of the tide left gorgeous leading lines along the beach, which help direct our attention to the interesting offshore rock formations and the churning skies above. WOW! A mistake that’s often made by photographers is photographing waterfalls on their own or from a position that’s too close. The alternative, as shown in this stunning photo by Kyle, is to include some context in the image. 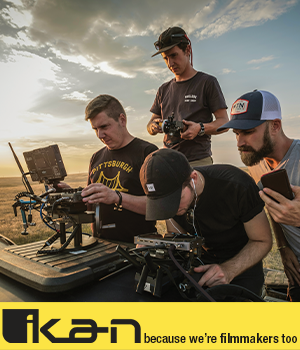 By incorporating foreground interest and other elements in the surroundings, Kyle was able to create a much more visually impactful photo! In this excellent example by Paul Apalkin, the posing of the model, the composition and framing of the shot, and the lighting are all kept clean and simple. The result? A beautiful Inspirational Photo of the Day! 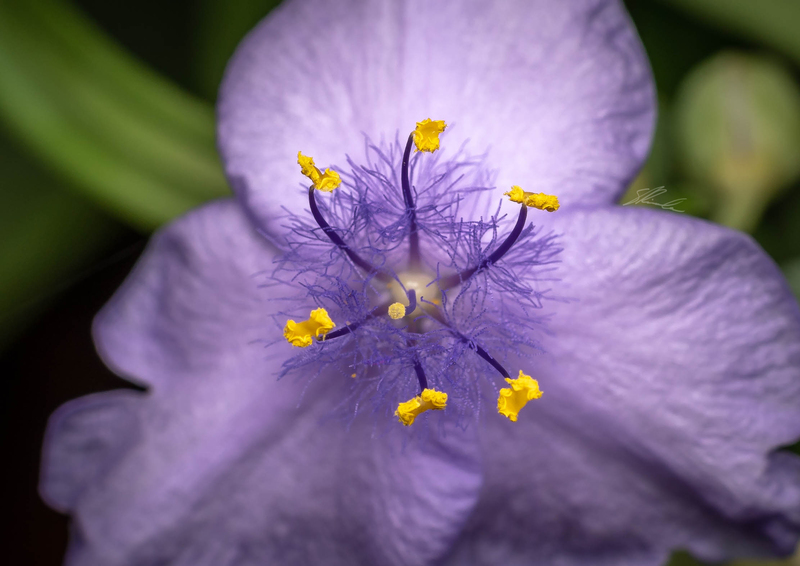 Even though this is a two-dimensional image, this shot by Shea has the quality of seeming as though the flower’s pistil and stamen are reaching through the computer screen. The incredible sharpness of these areas of the flower combined with the beautiful blurriness of the flower’s petals help amplify that 3D feeling. What a shot! 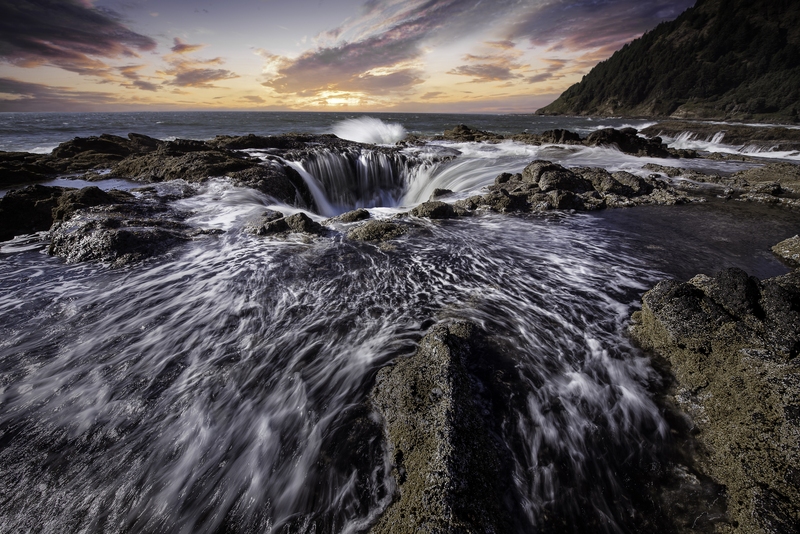 This beautiful shot is of Thor’s Well, a huge hole on the coast of Oregon into which the ocean seems to drain into oblivion. [email protected] captured this shot to perfection, combining the gorgeous light of the sunset with the blurred out action of the waves and the details of the rocky coast in the foreground. Great work, James! One of the simplest ways to make your photos more unique is to change the perspective from which you shoot. In this case, Bryan Minear gives us a view not across or through a forest, but straight up. The beautiful contrast between the dark shapes of the trees and the bright sky is something to behold, but even better is the detail of the tree trunk in the foreground. What a shot! This beautiful landscape photo by Artur Stanisz highlights the value of timing in photography. 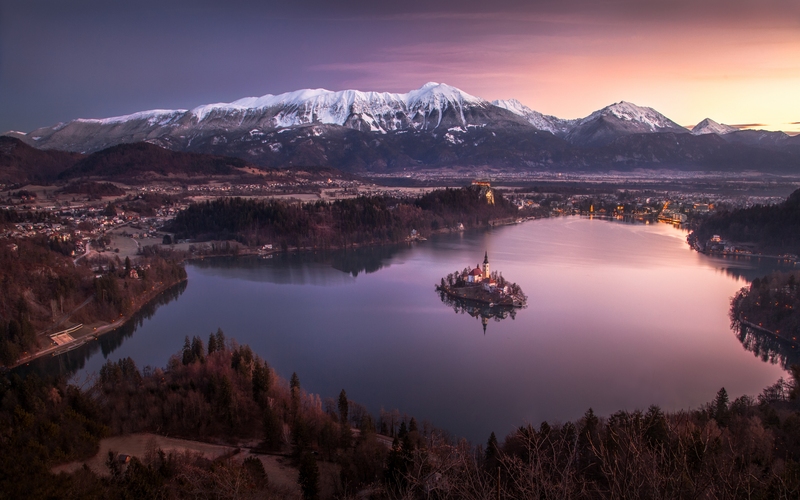 Sure, the landscape itself is breathtaking, but ensuring that the fading light of the day casts a warm glow on the mountaintops takes this photo to the next level! If you’re a fan of innovative and unique portraits, look no further than this stunning shot by Alana Lee Photography. The dark moodiness of the shot is immediately eye-catching, as is the way that the tree’s branches frame the young lady, almost as if the branches are reaching out to grab her. Photography is all about telling a story, and this shot certainly does that! When taking photos of fall colors, it is often a good idea to include a reflection in the shot, as Gary R. Hook has done here. Since the colors are so vibrant and beautiful, why not include a little water in the image to double your pleasure? As you can see, this trick works beautifully! For even more inspiration, be sure to check out our complete collection of Inspirational Photos of the Day!